Here’s one of the main reasons I’ve been MIA for the past several months. Moving to the country introduced me to the joys of gardening with wildlife. 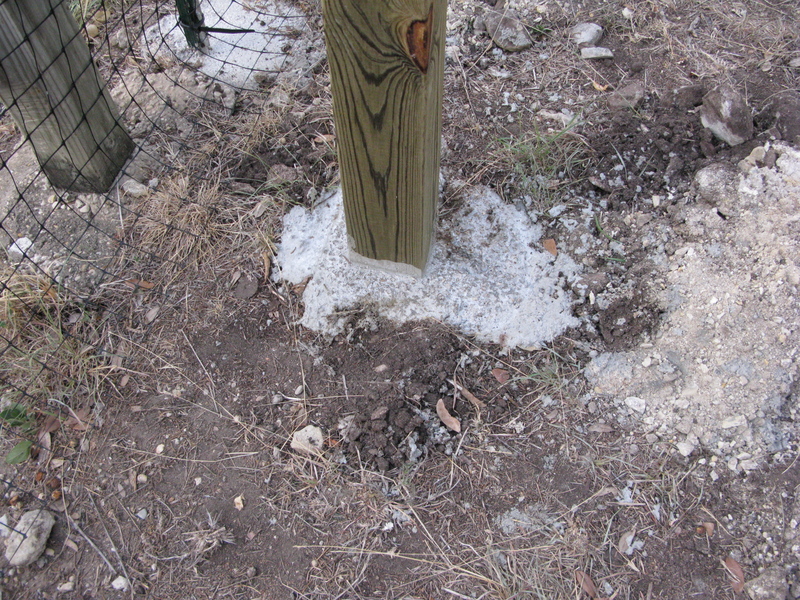 My original fence was deer and rabbit proof, but did nothing for the squirrels. I had to go back to the drawing board and come up with a design that included a roof to keep them out as well. Aside from puting in the 4x4x10 posts, we did the entire thing, my husband and I and a couple friend of ours. 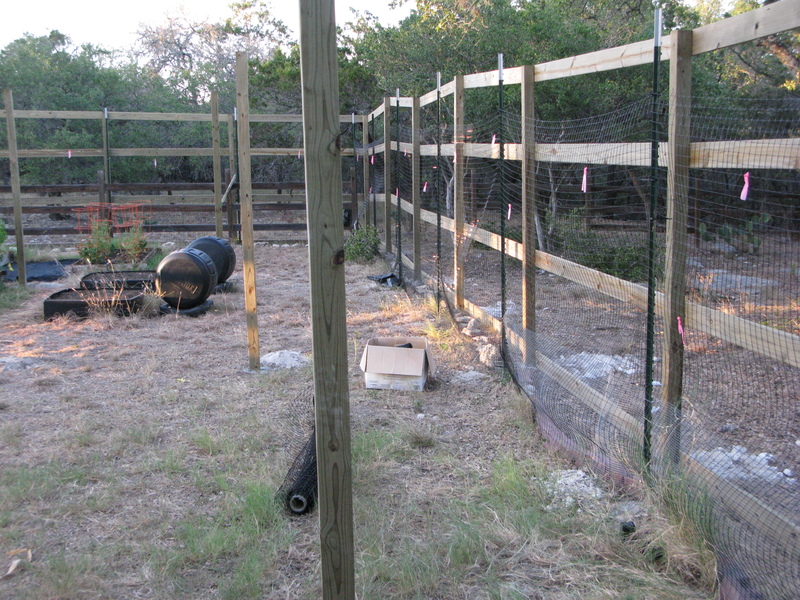 We are almost done, and will be by the time my tomatoes set fruit this spring. Our masterpiece is around 3000 sq ft. 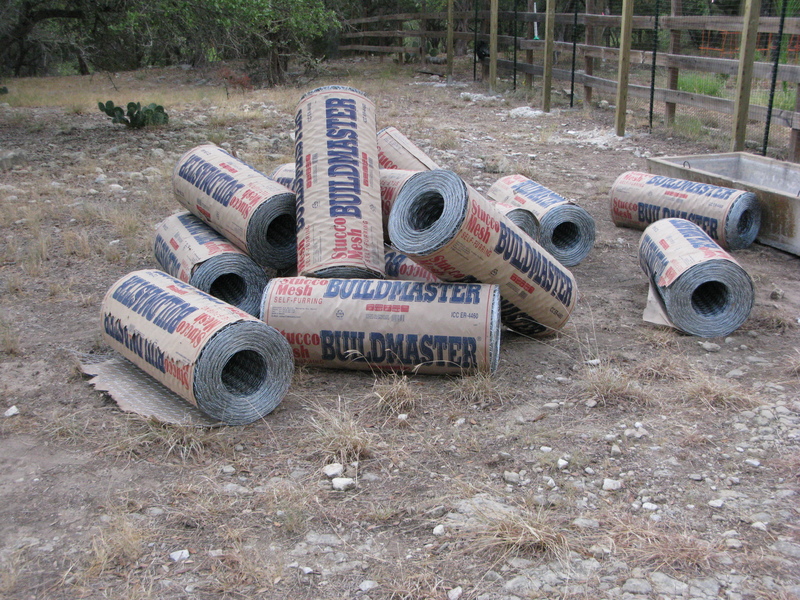 The poles are all set in concrete. 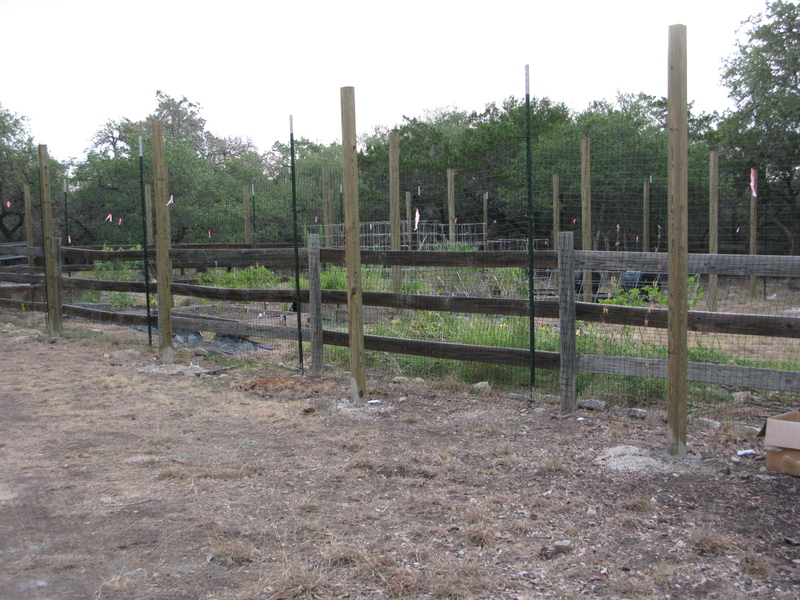 I originally planned on digging these myself, but after about 15 minutes of work I hired the guys at South Austin Fence to do it for me. They did a great job and were completely reasonable on price. We used stucco mesh for the wire. It is a stronger gauge then poultry wire and much less expensive than other hardware cloth. 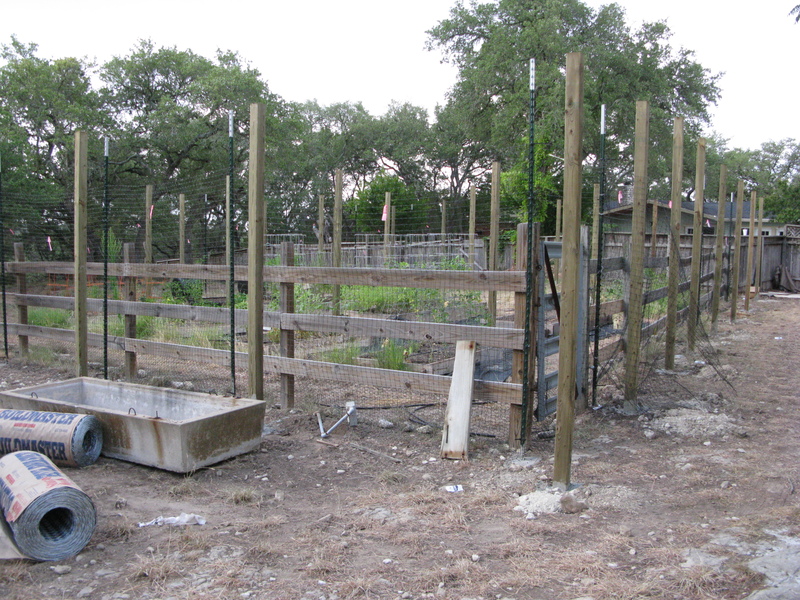 We had the posts set outside of the original cross fencing, that way I have a built in place for beans and peas to climb. One of the poles inside of the cage. These are used to hold up the meshing that lays over the top. Recent view of the cage, with the gates and most of the roof installed. We have about 2 work days left to completely finish. 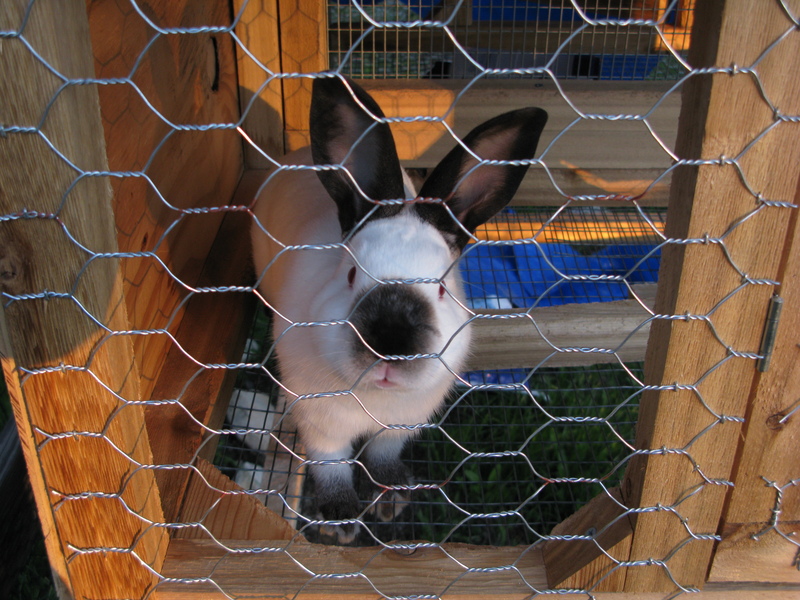 I know we built the cage to keep critters out, but Davey lives inside. He's in a hutch of course, and he is a compost making machine. What a project. I can’t wait to see how this all works out! 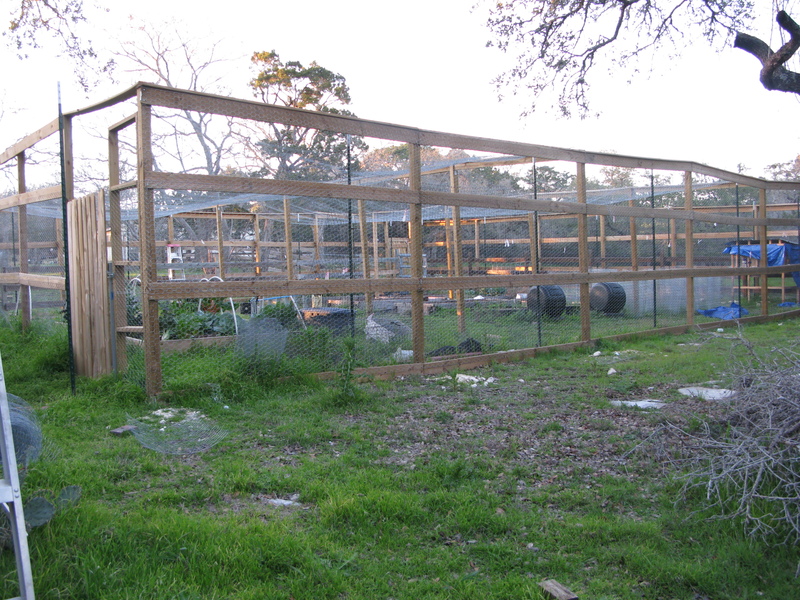 During the blistering summer, I’m thinking how easy it would be to drape row cover over the cage to shade the plants, too. I have a friend with a similar enclosure. We tease her and call it her giraffe enclosure. Yours is much bigger, so I bet you’d have room for lots of giraffes 🙂 All joking aside, that’s a magnificient enclosure. I hope you have a wonderful garden with lots of veggies. I do love giraffes 🙂 I have a ceramic one just outside the enclosure, maybe I should move it inside!